what you waiting for? sell! kedekut la. bought 30 lot only. means the PAC doesn't have confidence to collect cheap now. sell! Need advice from all the SIFU! Still there's uncertainty, that's why price is being squeezed to so low. Plus bearish sentiment everybody hold in cash. aiya all pre-conditions fulfilled. please la cannot go through one. want to collect in aggregate 50% from 24.28% you think easy? if at the end of the offer period offeror still cannot collect 50%, he has to return back all the shares he accepted. cannot receive money until the offer become unconditional. Government should have taken over .. Syndicates seem you here objective to confuse people. Can anyone enlighten me on this Conditional Voluntary Take-Over Offer at RM3.30? Why can't they just buy from the open market at a lower price? Not agree with Syndicates at all. Since many investors are holding for long-term, their cost are definitely lower than 3.90. The easiest way is comparing annual report of previous two year to see the change of shareholdings. BTW for mkmike, it's not possible to buy from open market. First, the volume is very huge and will boost the price to even higher than 3.3. Besides, it will take a very long time to gather enough shares. i am new here with minimum investment knowledge. i am just worry, read the offer letter and noted it will continue be listing after completion the take over offer. but is there any circumstances it will de-listing upon the completion? to accept the offer or just keep it? can someone to give comment? thank you. Advise to accept offer you can buy back anytime when price drop. 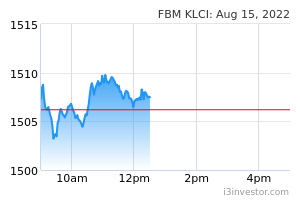 panic liao those big fund managers who are trying to speculate on this stock. so far no update on how much acceptance the offeror has received. when the day is approaching 27th yet no acceptance update, plan might scrapped off. revision of offer price is unlikely, as the china offeror is a listed company in china. cannot simply raise offer price without shareholder's approval. 3.3 is good exit point. Bear market..
People should notice Independent Financial Adviser suggests that the take over price is too low. As it will remain listed after take-over, I would say there are some potentials for price to go higher than 3.3. Does anyone know why sudden;y today got movement? Wtf. Please. Don’t bs here.